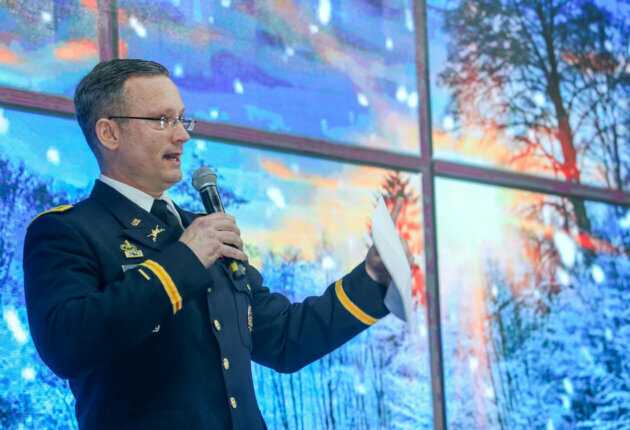 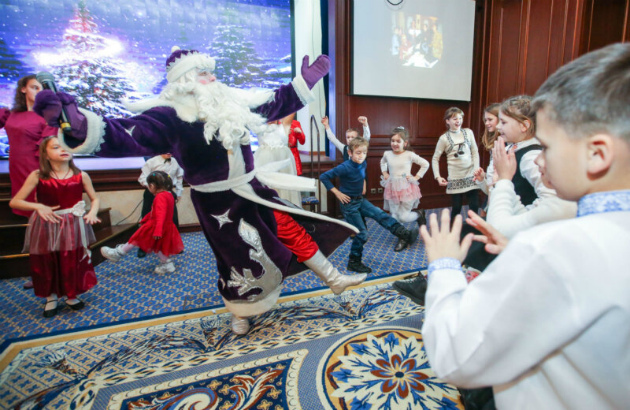 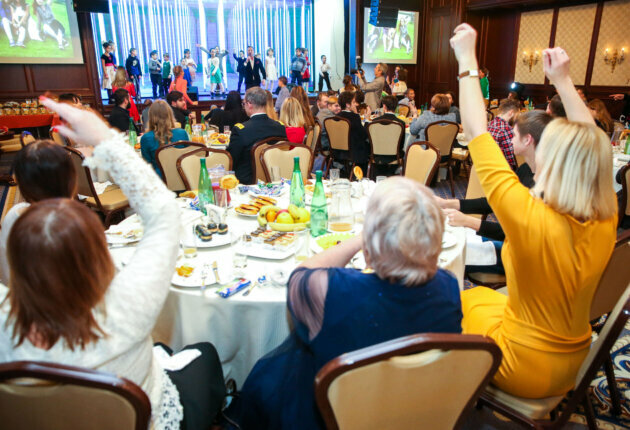 For the seventh year in a row, orphaned children celebrated Christmas and New Year’s at Kyiv’s Premier Palace Hotel on Jan. 9, joined by their guardians, charity workers and some distinguished guests. 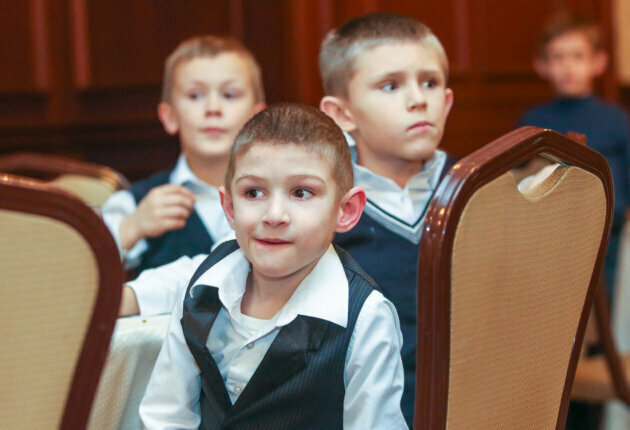 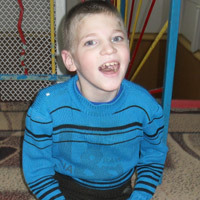 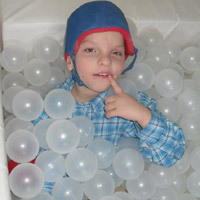 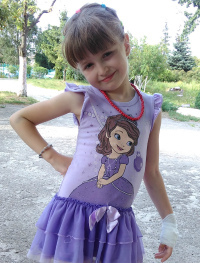 It is a one-day fairy tale for many of the 130 children from eight orphanages in Kyiv and Zhytomyr oblasts. 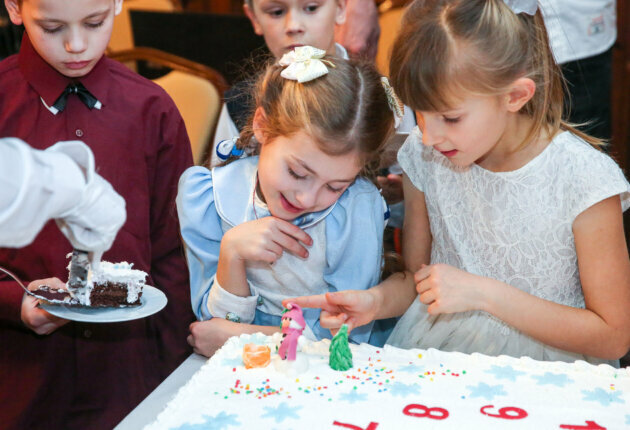 The elegant celebration is a chance to teach children etiquette and meet their friends and larger family, says organizer Natalia Uvarova. 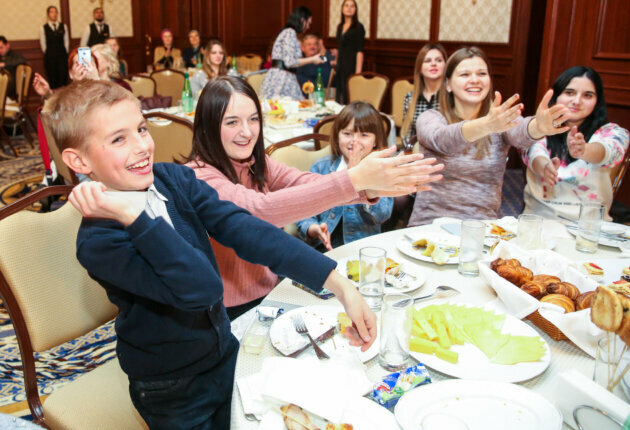 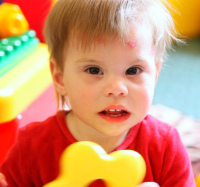 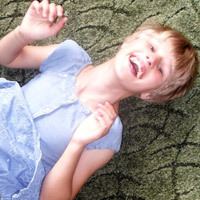 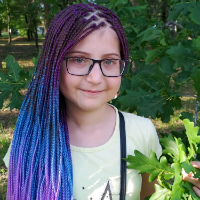 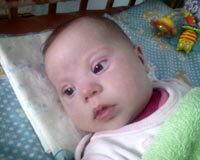 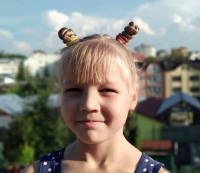 “Small children get a fairy tale here, and grown-up children get family and acceptance,” says Uvarova, the president of “Orphans Are Our Children” charity fund.